My children attend a Catholic school attached to a church. The school and church share one small parking lot. Parking is at a premium in the borough and I personally find a lot of convenience in having ties to the school and church when I need to run an errand in town after I have parked in the lot to drop the kids off. There are only two ways out of the lot. Taking the path to the left leads to the one-way street going away from town. Taking the path to the right leads to the one-way street going into the heart of town. 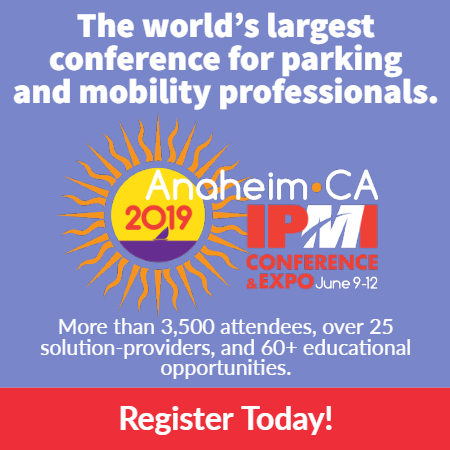 The different directional one-way streets in and out of the lot are confusing and at times problematic, but we will happily take the parking spots we can get. 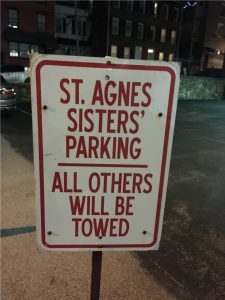 What makes me chuckle is that even the nuns mean business when it comes to their coveted parking spots. I watch as they rope off their parking area from visitors during church or school functions and then there is the sign, pictured above. When it comes to parking, there is no forgiveness!